Residential - Single Family - Key Largo, FL Views from Roof Top Deck for entertaining! This large and lovely home is perfect for large families with separate 2/2 individual quarters for privacy. Superior design and construction it was built to withstand any storm with its solid concrete structure and impact glass. Entrance leads to interior staircase to each living quarter and then up to Roof Top Deck. This home is located on a clear, direct oceanfront canal and has a concrete dock with davits for all the toys. Covered parking and entertainment area dockside allows for large family gatherings or quiet relaxation. Perfectly located close to Rodriguez Key and Key Largo Community Park. 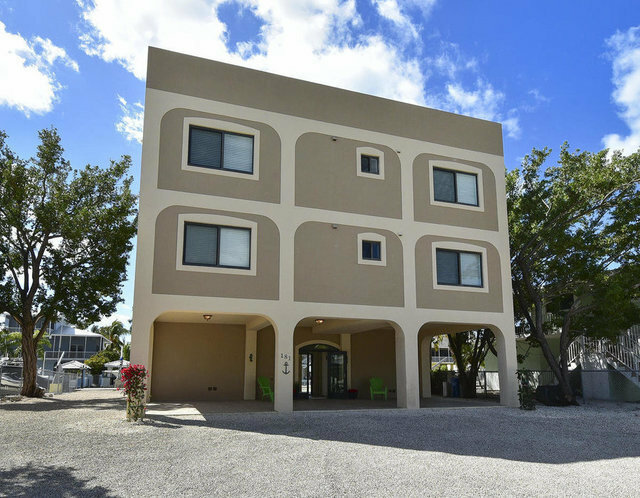 Close to restaurants, marina, shopping and easy commute to Miami.